Never question your data accuracy or data quality again. Daily scans and real time monitoring of your marketing tags ensures consistent, complete data collection across all platforms so you’ll have the confidence you need to make data-backed decisions. All while helping you monitor tag performance, so you don’t slow down your site! Tag Inspector offers two product options, which you can choose from based on your organization’s needs. Synthetic Scanning is the basis for all Tag Inspector functionality and provides a solid foundation from which most organizations can begin their tag management journey. Synthetic Scanning can then be paired with Real User Monitoring, providing real time validation and alerting based on tag behavior while live users navigate your site. How Does Tag Inspector Work? The two options work in different ways, with simulated user allowing for “do it yourself” configuration and immediate scanning. For real user and real time monitoring, a tag must be placed on your site. This requires some extra setup, but provides you with robust data and immediate alerts. Configure user agent and other parameters of simulated user scan. Schedule when and how often to run your tag scans. Scan crawls multiple pages of the site searching for tags and how they load. Scan Results available in UI, reports and via our custom API. Deploy Tag Inspector on the website(s) you want to monitor. Configure validation rules and real time alerts for your website. All tags loading on all pages of your site will now be monitored. Collected data is available in UI, reports and via our custom API. Go beyond ensuring the initial implementation is correct; validate proper data collection in the live environment at all times. Tag Inspector Realtime will validate tag behavior on every conversion, every button click, and every page load to identify any potential issues. Over 1,800 tags are currently in the Tag Inspector library with new classifications added weekly. All tags are identified on all scans and live monitoring. There are no limits to how many tags you can audit and no need to specify which tags you want us to check. Identify unauthorized tags that you didn’t even know existed loading on your site. Full site audits for all tags and technologies has never been more powerful! Tag Inspector’s intelligent crawler will navigate all pages* of your website, simulating a user, and capturing requests sent by tags firing on initial pageload. See what tags are present, the pages they are on (or missing from), how each tag loads, and key performance metrics for all hits sent by all tags. Identify issues with tag latency and site performance due to tags/pixels on the site. In Tag Inspector reporting, see latency for all hits sent by each tag, see how tag performance is affecting data collection, and identify tags responsible for poor page performance and user experience. RealTime tracks latency and other data points for each marketing tag, as well as for each page. You can easily turn your tag off, using a Tag Management System, on a page with high latency and observe how this affects overall page latency. Are you crazy about data? So are we! The Tag Inspector API provides access to an unsampled data set that includes performance data, tag loading details and more! In Scan reports, identify the location of unauthorized third parties, data being collected by those tags, and how they are gaining access to your site. In Realtime, identify the conditions under which unauthorized tags are firing on the site. Tag Inspector’s Tag Hierarchy allows a view of tag load behavior in a clean, visual representation. Dig deeper to see the stack trace of load behavior for all tags and identify specific pages that are double-tagged or where unauthorized piggybacking is occurring. Define allowed and required tag behavior to be notified of any unauthorized tag loading behavior. With Tag Inspector Policies & Rules, create a Whitelist and have tags not on that list highlighted in the reporting. You can also define the tags that are required and how they should be loading. Tag Inspector Realtime™ records how long it takes each tag to load and reports tag latency for actual visitor sessions – not simulated site crawl. Tag Inspector Realtime™ tracks all GA custom dimensions, SiteCatalyst props and other custom variables. Tag Inspector Realtime™ will detect if mandatory tags are missing from the pages and will report data outage within minutes. Real life scenario – due to a tag coding error, Google Analytics is throwing an exception and not loading. Tag Inspector supports global requirements of number of the largest consumer packaged goods companies with 1,000’s of global domains. Our pricing model is built on the number of pages and hits, not the number of domains.  Tag Inspector API was designed to support high performance needs of global multi-brand organizations. Monitor tag presence across all global domains and validate test results. Do I Really Need Another Tag? How difficult is it to track conversion and funnel pages inside of Tag Inspector? Do you need to store credit cards or any credentials to test funnels and the check out process? In Tag Inspector, can you really track every possible checkout transaction and scenario? Yes you do, but your tagging life will not be the same once you deploy it. Will show you results within minutes, instead of the hours it previously took to test a large site. With real time user monitoring, it is a very simple process. The Tag Inspector tag fires on every page of the site, similar to web analytics tags, and can track all tag-related activity both upon page load and after user engagement (such as a button click). No, Tag Inspector does not need to store any confidential information because it is not simulating user behavior during the checkout process. It runs in the background “quietly” monitoring other marketing tags. Tag Inspector also does not store any data fields such as user information, credit card information, etc. Yes, Tag Inspector tag is hosted on highly scalable Amazon servers and can store every tag request. Our largest clients process a few billion dollars worth of eCommerce transactions, so we are highly scalable and can support your growth.